Exploding with vivid color, sound and gut wrenching emotion, "Wishes" is the largest fireworks display ever presented at Walt Disney World's Magic Kingdom. The night time spectacular is narrated by the voice of Jiminy Cricket and the Blue Fairy. Guests of the Magic Kingdom are told a thrilling "story in the sky" featuring hundreds of brilliant pyrotechnic effects exploding above and around Cinderella Castle. 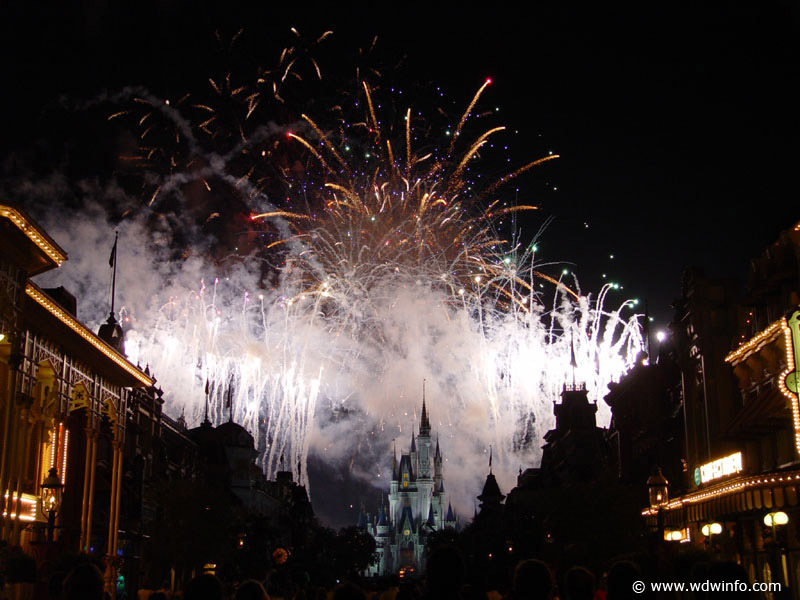 "Wishes" is roughly five minutes longer and several times larger than the long running fireworks show "Fantasy in the Sky," which was previously being shown at the Magic Kingdom. 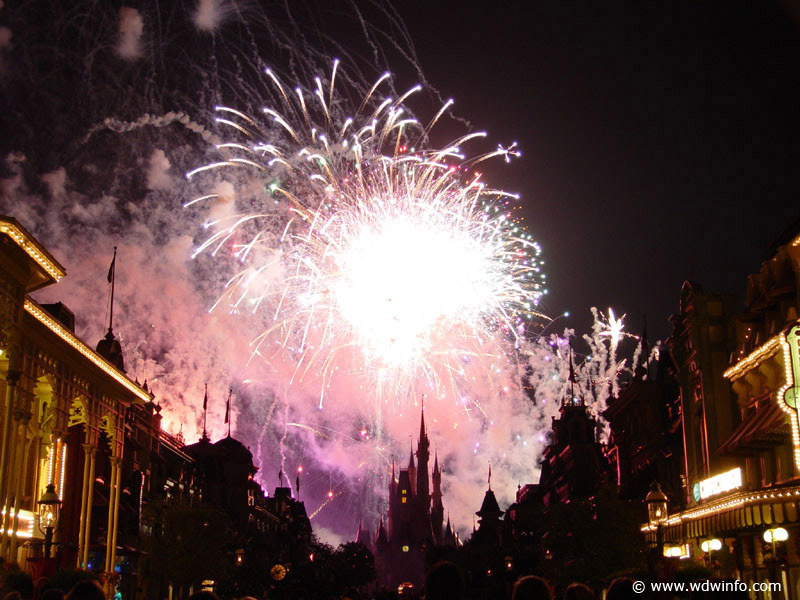 "Wishes" With the use of classic Disney songs and well know Disney character voices, guests will be told a story about making a wish come true, accented by using timely choreographed fireworks. Tinker Bell, flies from atop Cinderella Castle during a dramatic moment in the show. The Crew that created "Wishes"
Creator/show director: Steven Davison - Davison, creative director with Walt Disney Creative Entertainment, also developed the "Believe...There's Magic in the Stars" fireworks spectacular at Disneyland. Fireworks designer: Eric Tucker - An award-winning pyrotechnics designer whose credits span the globe, Tucker previously designed the fireworks for "IllumiNations: Reflections of Earth" at Epcot. Music director: Steve Skorija - As music director for Walt Disney Entertainment, Skorija oversees music production for live entertainment and special events at Walt Disney World Resort. Composer/arranger: Gregory Smith - Smith previously worked on such Walt Disney World productions as "IllumiNations 25" and "Splashtacular" at Epcot, and the "Mickey Mania" parade at Magic Kingdom. The Music used in "Wishes"
The show's "wishing star" will crest approximately 100 feet above the castle's bright spires. The Blue Fairy is represented with a spectacular star-shaped shell that "paints" each wish high in the sky with starlight.